In a shocking and very disturbing move, HSBC claimed it had the right to unilaterally inspect safety deposit boxes. 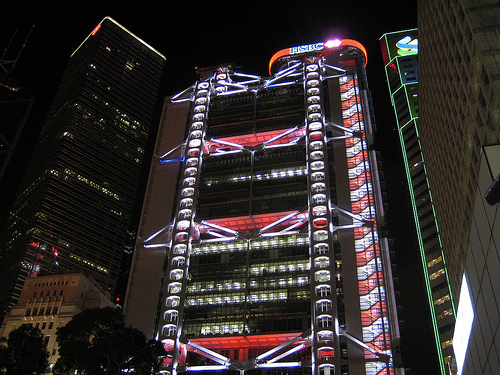 Hong Kong long held the title as one of the best places to store wealth globally. The bank secrecy laws were robust, and they were the selling points used by the island’s financial institutions. The trend is clear. Globally, any assets stored with third-party financial institutions are not yours. HSBC failed to clarify the exact items they considered “offensive” or a “nuisance”. This basically allows them to acquiesce to any governmental request to reveal certain clients’ assets. Hong Kong’s secret sauce is its role as the premier money laundering hub for the Chinese government and wealthy individuals. Unfortunately, Beijing cannot tolerate the blatant capital flight that is facilitated by Hong Kong’s banking freedoms. As such, they are slowly being stripped away. This development proves again that the obvious, liquid, and popular avenues for wealthy Chinese to escape the claws of Xi Jinping are being shuttered. Bitcoin’s market cap recently surpassed $10.5 billion. As these past few weekends have proved, Chinese monetary policy rules Bitcoin. And it only takes a few million dollars on the margin, to push the price around wildly.